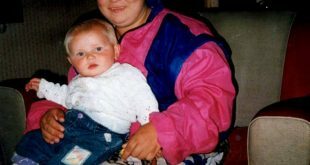 Patricia Grainger’s body was found in a stream in Parson Cross Sheffield just off of colley drive on 10th august 1997. Her Killer Is still walking free after 18 years. 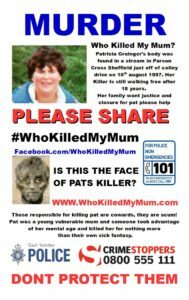 Her family want justice and closure for pat please help. 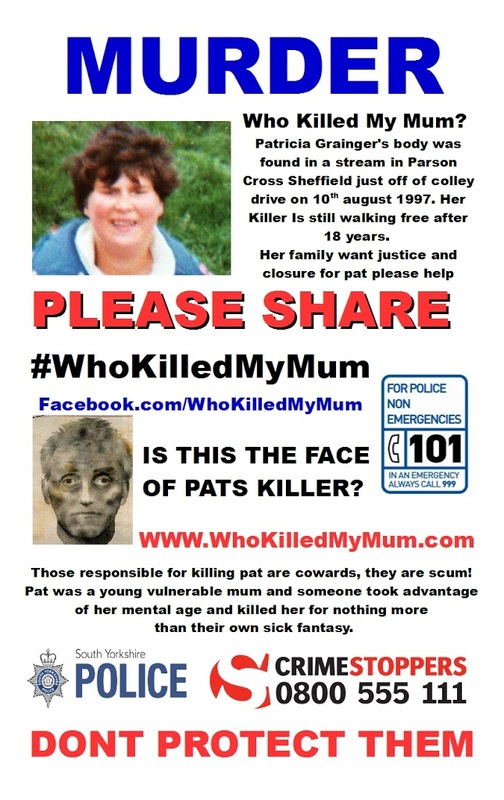 Pat was a young vulnerable mum and someone took advantage of her mental age and killed her for nothing more than their own sick fantasy. 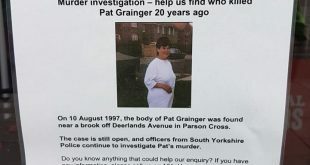 Despite extensive inquiries, police have been unable to trace the scruffy-looking man, seen in the early hours of Sunday, August 10 1997 around the time Pat Grainger was stabbed and strangled near her Parson Cross home. 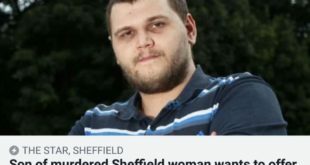 Next Justice for Murdered Sheffield Mum – Please share this post.